I follow people that tried their very best on their work. Well let's see, I basically will be working on any projects that I come to think of ;). 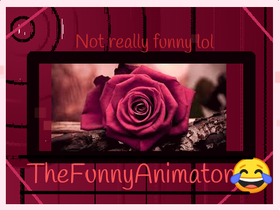 oh, and BTW I know my account name is The Funny Animator trying to figure out funny animation to put. I really have to go now..
goodbye sansy! we all will miss you! who here speeks some or speaks fluent spanish?